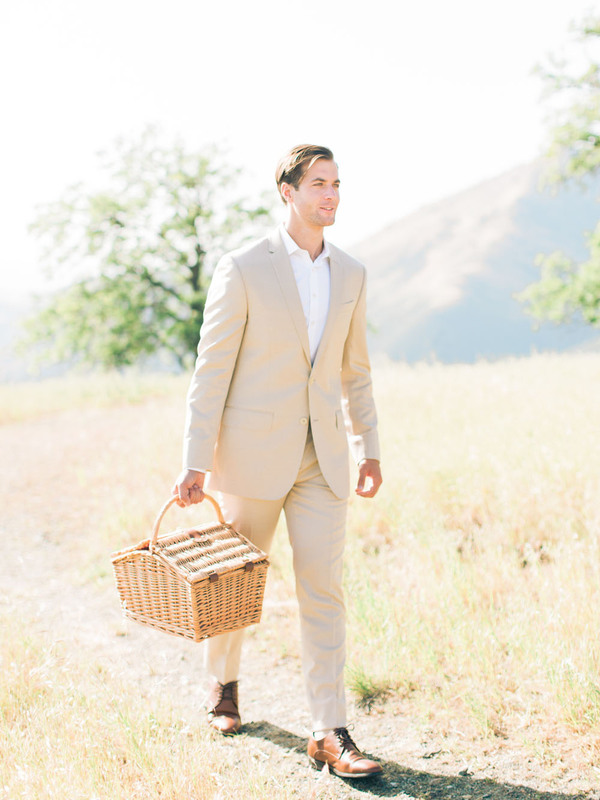 It was so much fun to produce this styled lifestyle shoot for The Komans with real couple Olivia Jordan (former Ms. USA) and her boyfriend Jay Hector and recently featured on the front page of Style Me Pretty. 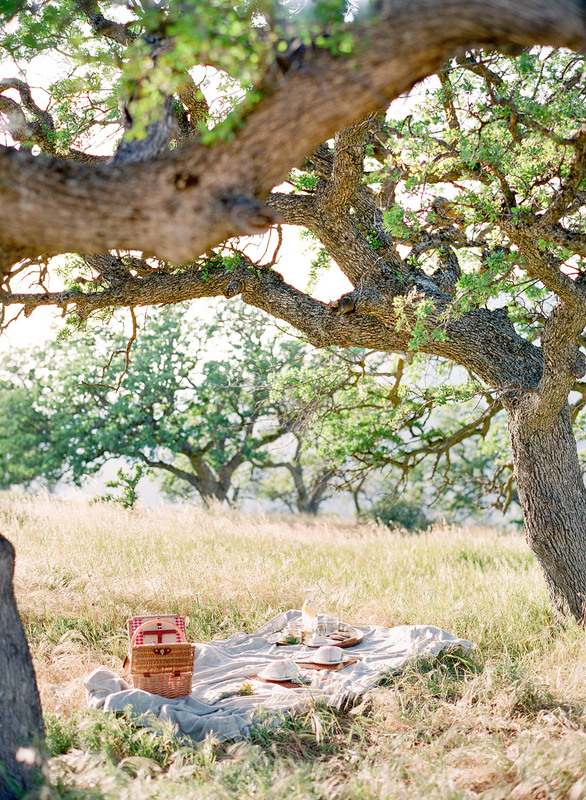 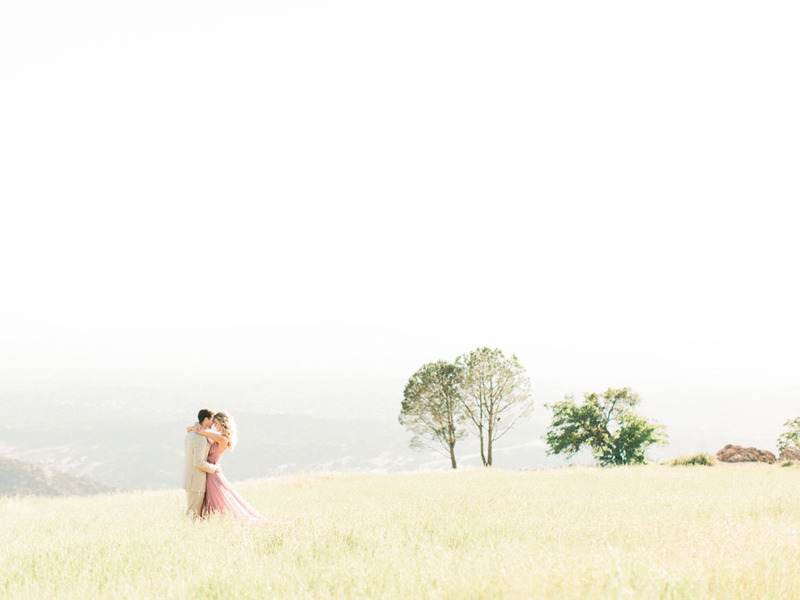 For the storyline, I imagined an elaborate and personalized proposal on the top of Figueroa Mountain in Santa Ynez. 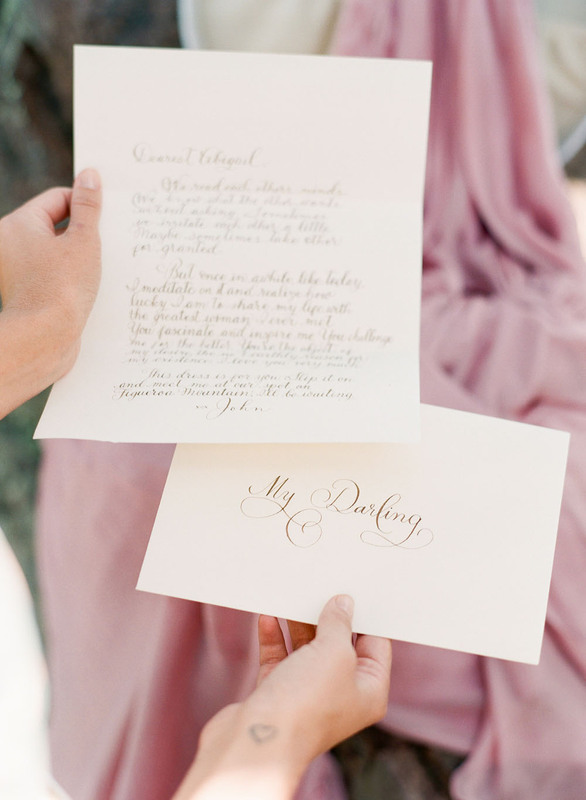 First, the bride-to-be finds a custom, dusty rose dress by Musat enclosed with a beautiful calligraphed love letter by Susan Silverberg. 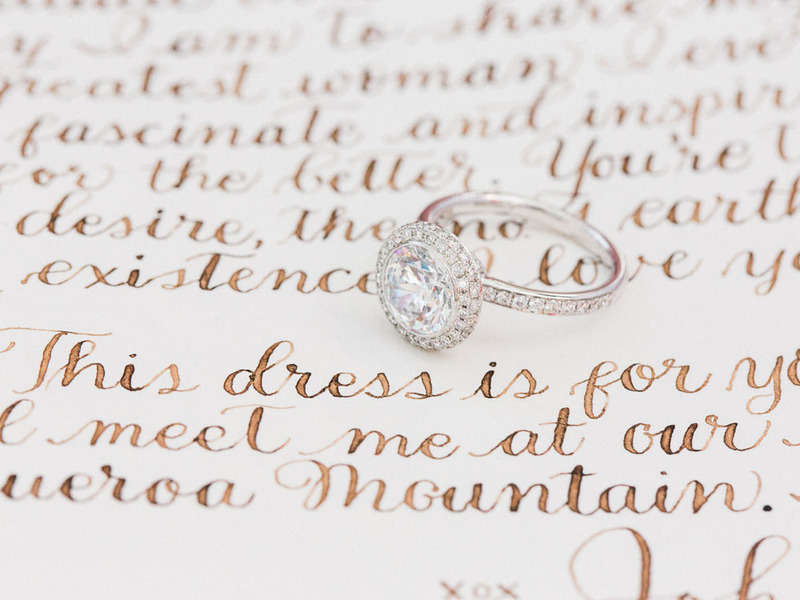 The letter directs her to meet him at “their spot” at the top of Figueroa Mountain and to wear the dress. 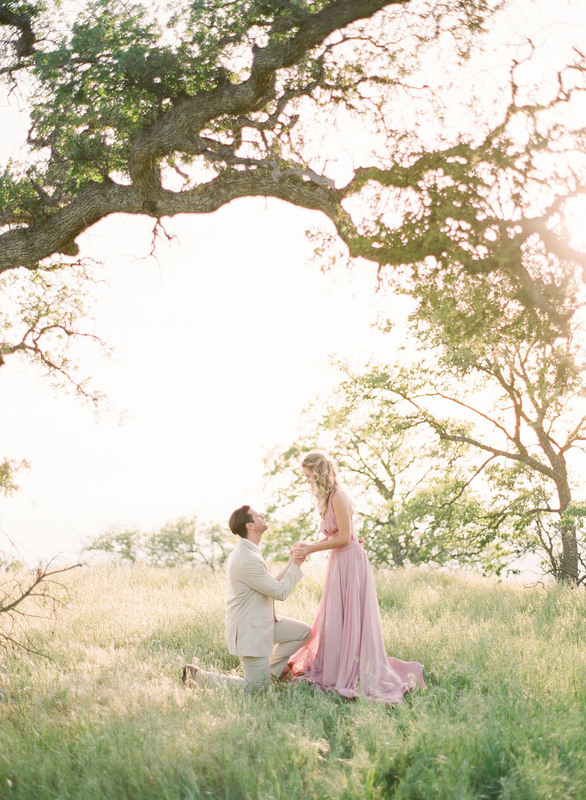 They meet under their favorite oak tree, and it’s here he drops to one knee and pops the question with a stunning ring from 33 Jewels. 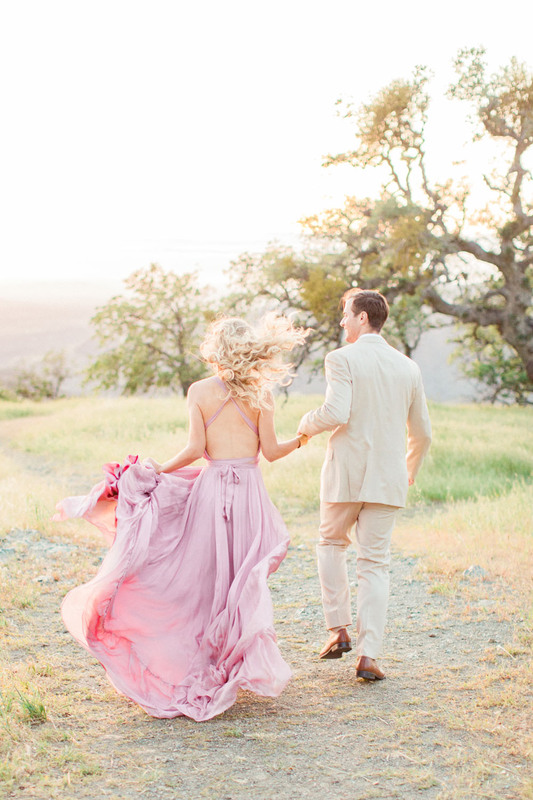 For her hair and makeup, I choose loose romantic curls with a few tendrils pinned back which Chateau Belle executed to perfection. 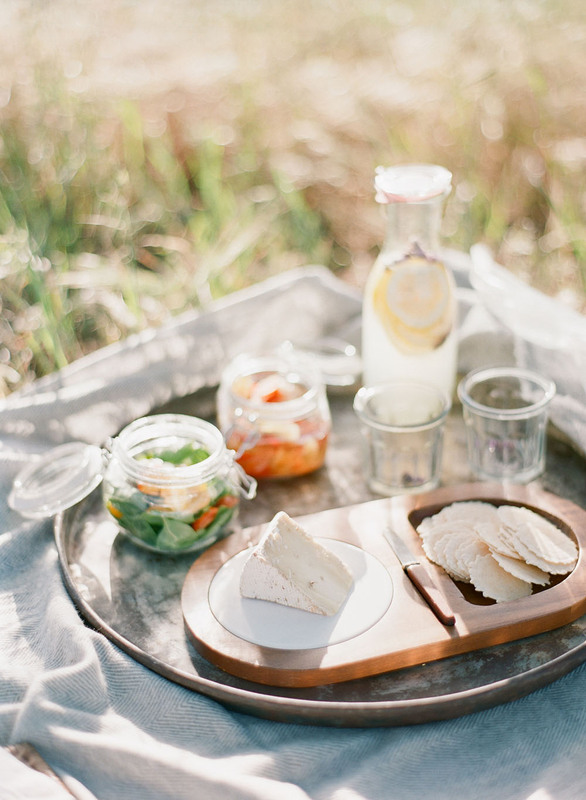 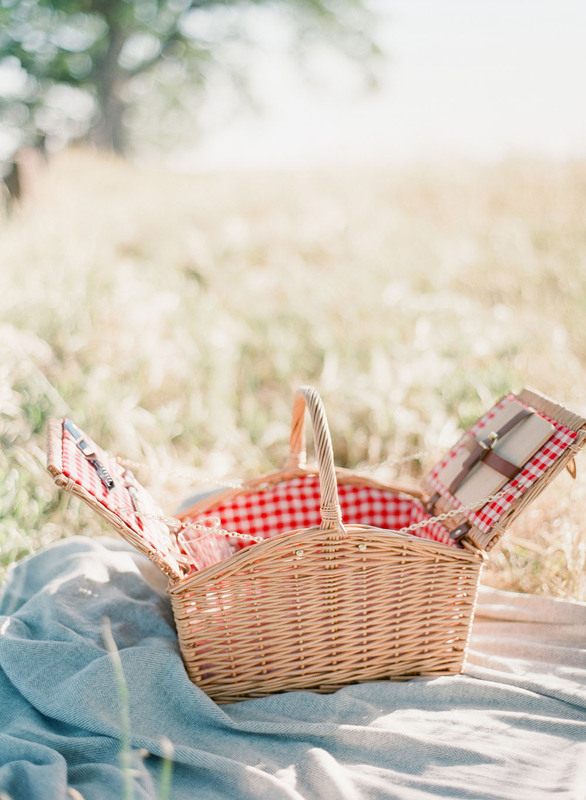 I found the perfect picnic basket and packed a picnic of sandwiches, cheese, picked vegetables, and champagne. 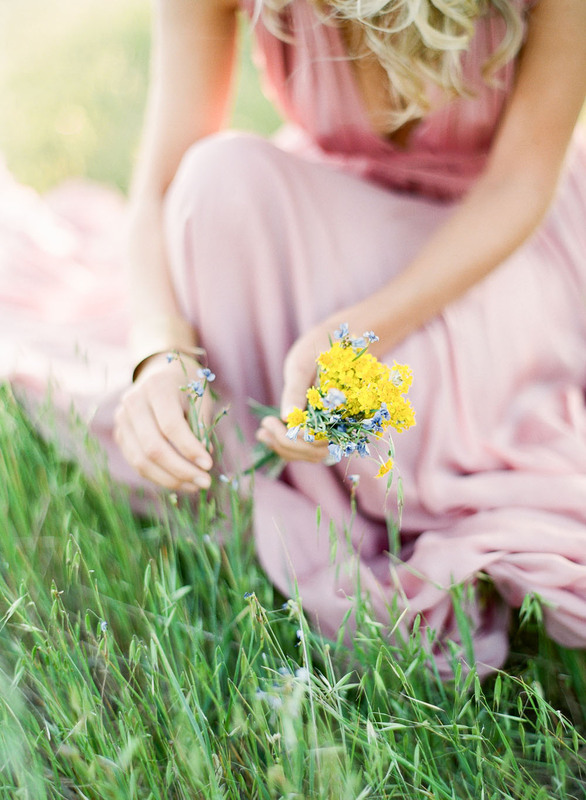 On set, I foraged a petite bouquet of yellow and blue wildflowers for her to hold.